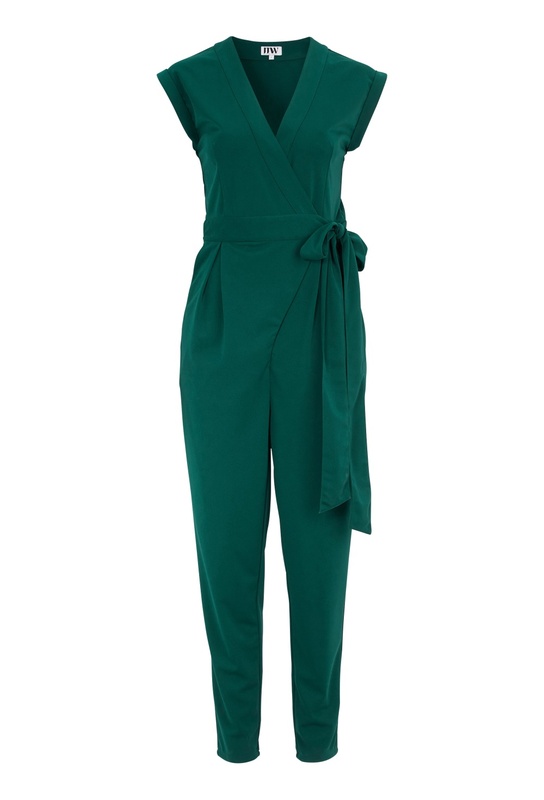 Stylish jumpsuit from Make Way. Cross over detail to front, tie band and button fastening to waist. Looks as great every day as at a party. Slightly stretchy fabric. Chest 84 cm, waist 72 cm, bottom 96 cm. Inside leg 67 cm in size S.